Wildboy Willie McCone is a highly skilled killer. He’s most probably a former special forces soldier, presumably discharged due to his mental state. As he’s familiar with amphibious operations, USMC Recon is a possibility. 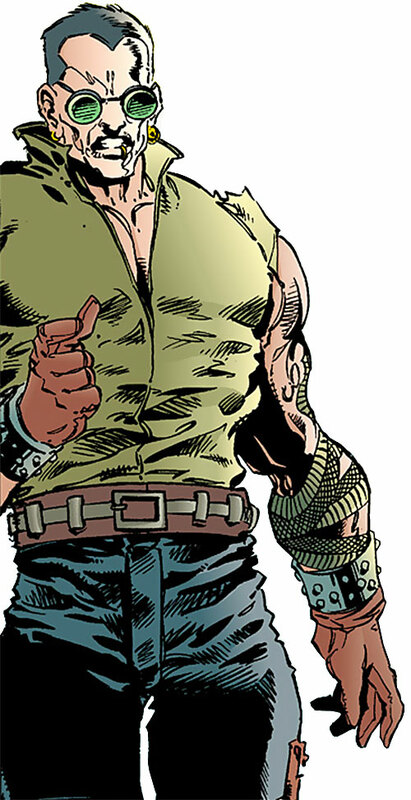 Little is known of Wildboy Willie McCone’s life ; he has worked as a hired killer for the renegade general responsible for X’s powers, and was extremely skilled. 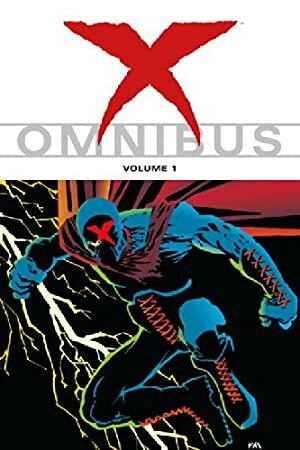 It was he who shot X with the virus that could make his blood break down ; he also organized the street gangs into a super-gang called the Covert Nightmares, armed then and plunged Arcadia in a civil war by jumping most of the police force. He was shot by surprise by Gamble during the general’s confrontation with X.
McCone was referred as “one of the big stars, maybe the biggest on the circuit” in unclear circumstances. That was due to his prowess as a killer ; it is quite possible he’s part of some kind of organization of serial killers. Wildboy’s built is that of an expert bodybuilder, and he could probably compete for the Mister Universe stuff. He has large tattoos of coiled snakes around both forearms ; his lower lip and both earlobes are pierced. Psychotic, relaxed tough guy and casual killer. He has only contempt for all players below his own considerable level of expertise, and no regard for collateral damage. McCone has a strong tendency to kill every civilian he meets, often for little reason. Go ahead. He’s almost certainly a part of the secret society of serial killers following the Corinthian that was seen in Sandman. Combat knife [BODY 10, EV 03 (06 w/STR, 08 w/Martial Artist)] – by far his preferred weapon.